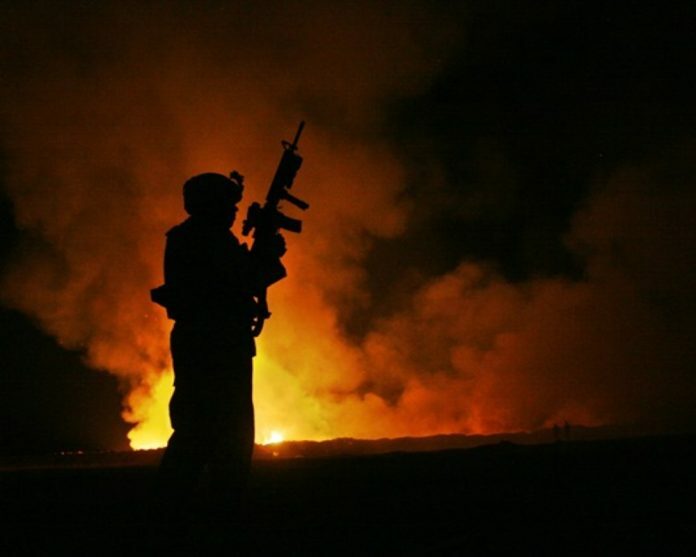 Towards the end of last week, U.S. Rep. Brian Mast, R-Fla., paired up with U.S. Rep. Tulsi Gabbard, D-Hi., to bring back a proposal having the federal government evaluate veterans and active duty personnel who might have been exposed to open burn pits and airborne chemicals. Over the past three decades, more than 140,000 servicemembers and veterans have reported exposure to burn pits and toxic chemicals. Last year, with the support of Gabbard who has launched a bid for the Democratic presidential nomination in 2020, Mast introduced the “Burn Pits Accountability Act.” Mast’s proposal would have the U.S. Defense Department list servicemembers who could have been exposed to open burn pits or airborne toxins, enrolling them in the Airborne Hazards and Open Burn Pit Registry. Mast’s proposal would also ensure the Defense Department and the VA share information about burn pit and airborne toxin exposure. “Exposure can produce serious and potentially life-threatening health effects, including neurological disorders, rare forms of cancer, lung diseases, and more, triggering some to call the crisis the Agent Orange of the post-9/11 generation,” the congressman’s office noted. As Gabbard noted, U.S. Sens. Amy Klobuchar, D-Minn., and Dan Sullivan, R-Alaska, are backing the bill in the upper chamber. The bill is supported by Iraq and Afghanistan Veterans of America (IAVA).